Rubina Mumtaz Associate Professor and HOD Community Dentistry, Islamabad Medical and Dental College, Islamabad. The precise and infinitesimal nature of a dentist’s work makes this profession particularly vulnerable to ergonomically borne musculoskeletal disorders (MSDs) that reduce efficiency, productivity and longevity of their dental careers. 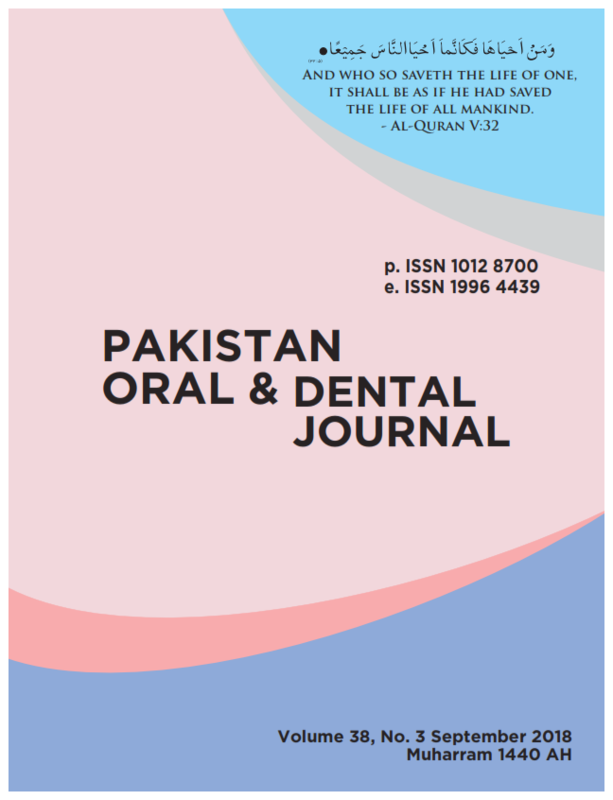 The aim of this cross sectional study on a convenience sample of 67 dental interns in a teaching hospital in Islamabad was to evaluate a correlation between theoretical knowledge and practice of ergonomic work postures and behaviors. Data was collected over the month of March 2018 using a pre-tested 24-item questionnaire on knowledge and practices of ergonomics. Open-ended responses of a qualitative nature also were invited for the practices section. Analysis using SPSS version 20 revealed a knowledge score of 52.9% ± 17.6% while the practices score was 40% ± 10%. Pearson’s coefficient obtained was +0.299 with a p-value of 0.67, indicating no correlation between knowledge and practices. Qualitative responses indicate that having theoretical knowledge does not necessarily mean it translates into practical application. Students, when learning new clinical skills, pay more attention to mastering the dental procedures rather than paying attention to their postures. Additionally they do not observe appropriate ergonomic practices by their seniors who should be role models to emulate. In conclusion, ergonomics is introduced to dental students briefly during pre-clinical training but paid little attention to during their clinical rotations. Therefore, emphasis on ergonomic work postures and behaviors should be increased during undergraduate training for both pre-clinical and clinical rotations. Regular refresher awareness seminars for interns and junior teaching faculty is imperative.